On the second Friday evening in December 1945, the famed San Jacinto Inn closed to the general public to host a farewell dinner for Todd Houston Shipbuilding. Several hundred guests dined on an endless supply of oysters on the half shell, oysters en brochette, fried chicken, tenderloin of trout, and the house specialty, shrimp a la San Jacinto Inn. French fries, hot biscuits, and pineapple sherbet rounded out the menu. Though wartime rationing of beef and cheese had officially ended a few weeks before, those foodstuffs remained scarce and did not appear on the dinner menu. The guests that evening could reflect on a remarkable accomplishment. In a bit over four years, they had built a modern, efficient shipyard on an open lot of soggy, Gulf coast prairie, and constructed over two hundred general cargo ships and small tankers. Placed bow to stern, the 208 Liberty ships they launched into the muddy waters of Buffalo Bayou would stretch for more than seventeen miles, from the dining room of the San Jacinto Inn to City Hall in downtown Houston. Bennice Vick Russell and sister-in-law Marjorie Vick share a soda during a break at Brown Shipping Company, located across the channel from Todd Houston, in 1944. Photo courtesy of the National Park Service. Long before its formal entry into the Second World War in December 1941, the United States was actively supporting Great Britain and its allies in the struggle against Germany through the Lend-Lease program and other efforts. 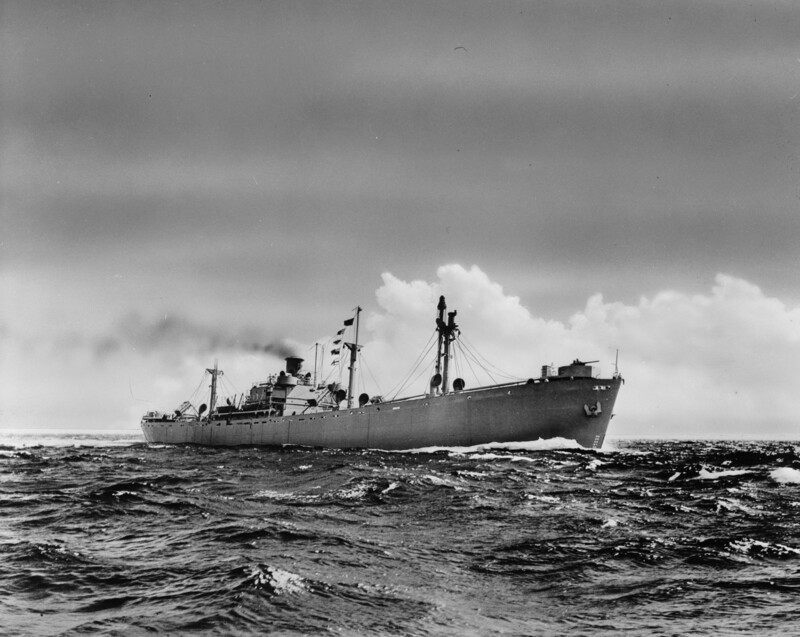 Part of this assistance was the U.S. Maritime Commission’s decision in late 1940 to accept a contract to build sixty standardized freighters for the British government. At the same time, the Maritime Commission was interested in adopting a design for a standardized, general-purpose freighter that would lend itself well to rapid production on a large scale. The exigencies of the war demanded quantity over quality. After reviewing proposals for a number of different designs, the Maritime Commission selected the British design for adaptation to the commission’s expanding shipbuilding program. 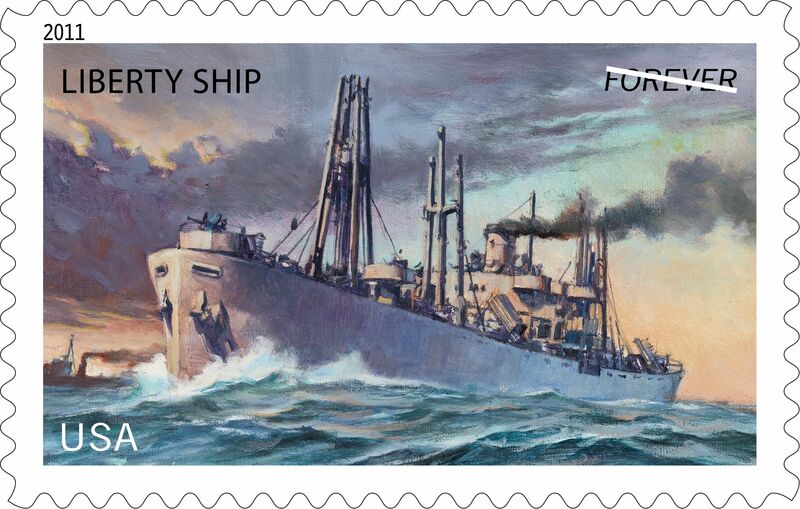 With a handful of additional modifications for American use, such as oil-firing instead of coal, the British design was the genesis of the famous Liberty ship. Though they were slow and only lightly armed, the Liberties had one attribute that outweighed all their defects: the prodigious amount of cargo they could carry. A Liberty was said to be able to carry 2,840 Jeeps, 260 medium tanks, 234 million rounds of rifle ammunition, between 320 and 699 mules, or 430,000 cases of C Rations – the latter sufficient to feed a full-strength infantry division in the field for eight months. 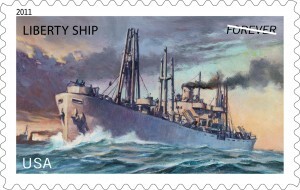 Click here for the construction record of the 208 Liberty Ships built by Todd Houston Shipbuilding during World War II. 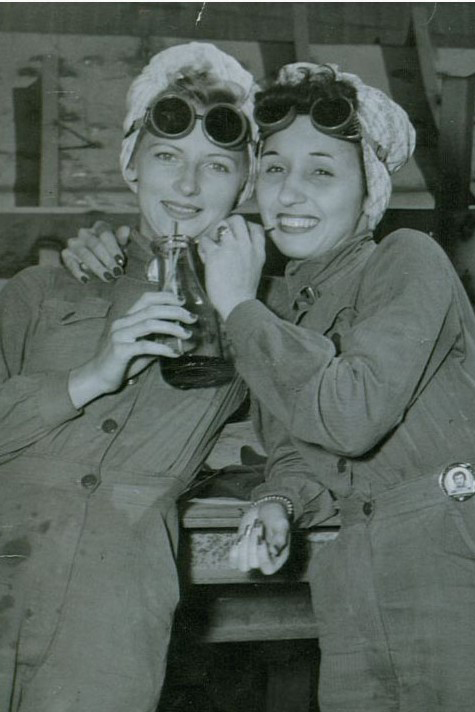 To read more on Houston during World War II, click on the links below. To view the issue “Houston Remembers World War II,” click here. A Sharp Fight– Regarding an unlikely naval encounter off Galveston that stunned the U.S. Navy and saved Texas from a Federal invasion during the Civil War.